Bird Id - Forum - Identifying Birds - Can Anyone Help With These Two? 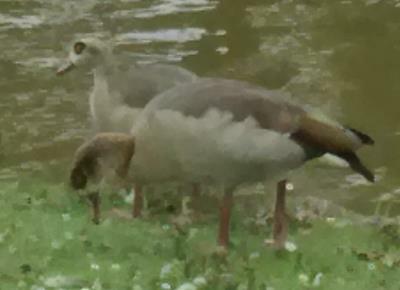 Forum > Identifying Birds > Can Anyone Help With These Two? 1 Sorry about the poor image, I was in the local park and only had a camera phone and needed the 4x digital zoom to get the photo. 160 These are Egyptian Geese.